Ok, got it working and am off to see the Wizard. All seems good to go. Nice work, however, I do think the energy usage for the Adder could be dropped a bit. Takes too much in battles and regen is slow by the time the enemy regen their shields. Good maneuvers help but, it takes a lot of time. Also, more cargo space since there's a lot of loot drops of which, I like getting for my battle efforts. One other thing, I know it's only Beta but, are there or, will there be any wrecks to loot? I've yet to find any. All that aside, I do think the energy use should be a tad bit lower for a starter ship. Missions pay nicely though. Yep, first-run resolution needs to be sorted out - it's set for 1920x1080 but needs to be fiddled with in the options and a game restart to fix at the moment - this will be fixed on the next release, probably as an option when activated in FLMM, or if I can find another way, or just start with 1024x768 and let the user set the resolution. Thanks for the feedback on the starting ship - balancing the game has proved challenging, I am playing through it myself and finding bits that are too easy, and bits that are too hard. I didn;t want to make it too difficult to get started in the game as this might put people off - but will review when I get more feedback. The idea is to get you to upgrade your power plant & shields as soon as possible, but I agree for starting off, they are probably a little too low - but if I made it easier, some might complain it's too much - again, not an easy one to get right first time. Mission pay was another aspect difficult to get right, initially the pay was 5 times less, but I was finding it taking far too long to build up enough cash to get better equipment, at the moment, it's probably a little too high and needs to be around 60%-80% of the current values, but then again, in an Adder, even the easiest missions can get you killed with just two torpedo hits from the bad guys. Cargo space - another puzzle, in the original Elite, the Cobra Mk III had 35T of cargo space, and in this mod that is the largest fighter available, so the smaller ships should have less cargo space - in the original, the Adder has 10T of space, and other small ships have similar cargo capacities (or less), I decided that 15T should be a minimum. Again, I will review this, and perhaps for a Freelancer mod I should double the cargo capacity for all but the largest freighters. Wrecks - none in the game as yet, these will be in a future release, along with mineable asteroid fields, minefields, gas pockets, radiation areas, pirate bases, pirate patrols and tradelane attacks. 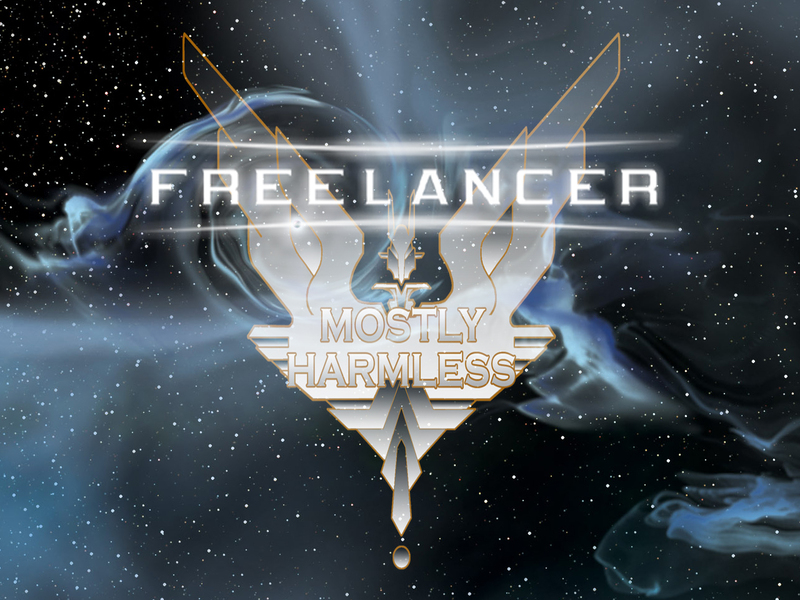 The objective of the first beta is basically a proof of concept that the Elite universe can be put into the Freelancer game engine, and can work as a game. The majority of the features from the original Elite game are there, and I'm having great fun playing it. Good mod, non the less. Np problems with it itself. NO ctd's at all. Ships fly and handle really good. Loot size should be taken into consideration too. Not all lot has the same mass. Mission payouts are fine and better than most. It still takes a while to come up. I got np with them. Good job with the mod though. Thanks for the feedback, it's nice to know I have the guts of the mod more or less right, I know it needs a lot more work, more content and more tweaking. I've been looking at some other recent mods and drooling over the graphics and game play, although I have more or less fitted the 'Elite' universe into the mod, it needs more. I will be having plenty of lost weekends continuing the development of this. No rush, it plays good as it is but, more is always better. I can't think of ever playing the Elite mod? Getting old, I guess. I thought I'd played them all? Other than that, about the only mods I never payer were the ones that used either the 1.14 or, 1.15(?) Mod Manager. I've always stuck with the 1.31 and never had any problems with it. Systems are big so, there's lots of room for more stuff. I'm having a little break from modding for a couple of weeks, to give me a chance to have a good think and plan the next steps. As for 'Elite' mods, I could not find one for Freelancer, only Griff & Gibbon's models, but not one that uses the Elite universe - which is partly why I decided to do one. And the system sizes have been set in such a way as to leave room for more content. No hurries, there's plenty to do for now. The problem with pirates and trade lanes is you are forever been kick out ether from Pirates or the trade lane going down , This is a pain you just cannot make any progress and its so frustrating , Cargo space is another , There is not point in trading and mining if you cant make a good profit , Good luck with your Mod i haven't played it yet but i will . So far, for what I've played (nothing lately for a while) I had np with tradelane kicks in his mod. Pirates have been mostly near tradelane junctions, jumpgates or in open space. It's pretty flawless, so far. Having an operation on my foot next week so, I'll not be doing too much afterward. Not sitting up long, that's for sure. Will have to stay in bed unless doing personal needs. Crutches are not my thing. Moving the coffee pot into the bedroom for the time being. DvD's ready for watching on the tube in the br as well. However, did get me a new living room suit not too long ago, may set up shop in there and kick back until most of the healing is done. Closer to the kitchen as well. Sorry to hear about your foot HK, these things are sent to try us I suppose. As for bugs in the mod, I've only found one clanger (apart from people's widescreen issues), and that is the Python Freighter turret class is set incorrectly in ShipArch.ini, it's set to 6, where it should be 7 - this means you cannot equip any turrets on the Python. As for annoyances - the Thargoid Motherships don't seem to appear where I'd like them to, in fact they don;t appear at all - this is down to some last minute changes to the difficulty numbers for NPCs and for bulletin board missions that I made to make the starting systems missions a bit easier. I really need to do a big overhaul of all the difficulty settings combined with the formations and encounter settings to get it right - this is probably the biggest task before the next release. Generally, I'd like to randomise the system layouts a bit more, rather than having exactly the same template for each system - just to make it a bit more varied. Also base rooms need a bit more in the way of randomisation, as all I have done for this version is take a base with all 5 rooms and do a direct copy of the setup, just replacing the nicknames programatically - it's just about taking the time to write the code to be able to build a room from any of the stock resources - I'll get round to it eventually. Haven't really made a start on any of this as yet, hope to get onto it soon - when the weather gets a bit cooler here. No hurries and, there's more than one type of cooler for the hot weather. The other one, you fill with Ice & Beer, kick back and relax with. As for the Op, not really looking forward to anyone cutting me open for any reason but, I'm also not looking forward to using a cane the rest of my life either. If this will help eliminate that, I'm all for it. Hi Stormprooter i downloaded your mod it seems to run ok but there is just one problem the brightness , the game is very dark and i cant make it lighter , The brightness or Gamma bar the you move to left or right that increases dasker or lighter does not work , the only thing it changes is the brightness of the cancel button at the bottom of the General Options screen , Strange ? That is odd, I've never seen anything like that before. I can only suggest you try running the vanilla game, without the mod and see if you get the same behaviour. If it works fine without the mod, then I think the issue will be with the JFLP graphics patch/update I have used. Other than that I do not know what would cause it, other than some strange incompatibility with your graphics hardware (though that is unlikely). Sorry I cannot be of more help at this stage.